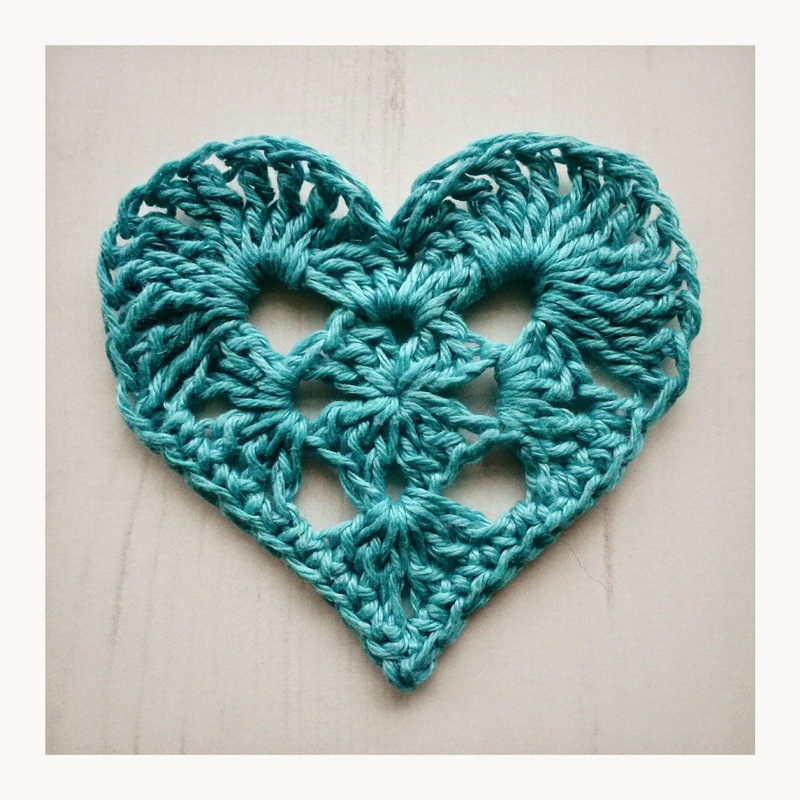 Here is a quick and easy heart to work up for Valentine's Day. I can't claim this pattern as my own, as I have seen numerous versions of this all over the internet. But here is my offering of this little beauty. 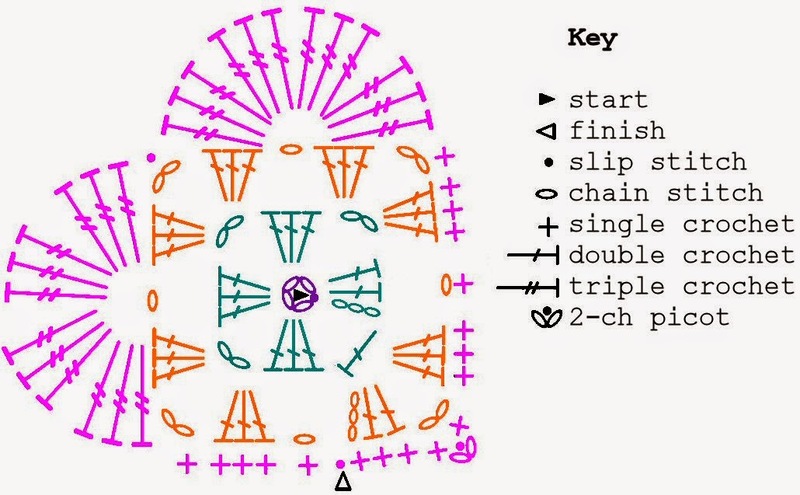 4 ch, join with a slip stitch in first ch to form circle or complete using the Magic Circle. 1 dc in top of beg 3-ch to join. 1 sc in top of beg 3-ch to join. sl st in first sc to join. Finish: Fasten off and weave in ends of yarn. Block work. sorry if this is a silly question but this is the first pattern ive ever tried to read. a proper beginner :) i understand most of it, but what does it mean when youve put an asterisk next to it? If you read a little further along in the pattern, there will be a line that refers to this asterisk. Normally the instruction is to tell you that some steps you have already completed need to be repeated. For example: repeat from * 3 more times. This means that everything from the asterisk to that repeat instruction must be completed again three times. It's a way of clustering instructions together for repetition, instead of writing them all out again. Other patterns might use parenthesis / brackets to cluster shorter instructions, with the repeat instruction shortly after the brackets. Some patterns might use single and double asterisks for the same purpose, or like I have in this pattern to denote two different sets of repeat instructions. Beautifull! I will try to do it. Sorry but where should y start repeating the pattern in the third round? Y couldnt find the *. I am not an expert as you might see.Sorry english is not my mother tong. Thanks! I've amended the pattern and it should be correct now. Thank you for pointing out the error. Good luck with your crochet adventures. Hi, in round two, cluster four where does the next set of clusters go? Do they go into the top of the bottom cluster? If I only chain two they won't reach to the next space. I'm not always great with patterns so maybe it's just me. Thanks. Rounds 1 and 2 are the typical rounds for a Granny Square. With Granny Squares you're always working into the spaces, not the stitches. The two chains are only to put between the double crochet clusters in the corners. You're only putting 1 chain stitch between that cluster and stretching across to the next cluster (which goes in the next corner). It will reach across. Trust the process. Have a look at the symbol chart to give you an idea of how the clustering works.